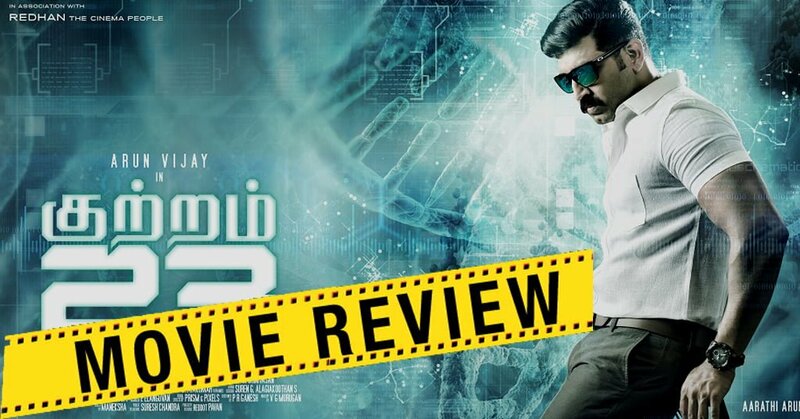 Kuttram 23 is a Thriller and justifies the tag ‘Thriller,’ the film is based on a Medical Crime. Arun Vijay has done all that he could to Justify his COP role; his hard work is evident on screen. His Performance is a big boost to the film. Director Arivazhagan after his underwhelming last outing ‘ Aaruvadhu Sinam ‘ is back in this film, the way of his narration and the quality he maintains throughout the movie stands out. Music by Vishal Chandrasekar’s BackGround Music is the biggest asset to the movie. The Cinematographer has kept a White Tone throughout the film symbolizing the White Collar Crime. The film never lost track except for some comedy scenes from Thambi Ramaya. Though the Narration is excellent, there are usual cliches in a thriller movie. The director could’ve spent lesser time on family scenes, which hinders the pace of the film. Overall The film is definitely a good try this weekend.